I never liked doing New Year’s Resolutions. 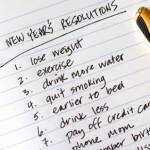 It makes you think of your previous years’ resolutions, and how you failed to keep them all. So I just tell myself to forget resolutions, and save all the hassle (and guilt). But the thing about New Year’s Resolutions is that its such a contagious thing. One person does it, another follows suit, and soon your whole friends list is full of resolutions for the new year! And it’s just too easy to hop onto the bandwagon and be like everybody else, thinking of productive things to do in the year ahead. So, to all my fellow anti-resolutions beings, you have to be strong! Face it and hold your ground! Hat’s off to you if you can do that. Because I can’t. Unfortunately, I just don’t have that kind of power. I’ve succumbed to temptation, and made my new year’s resolutions. This list is by no means exhaustive. But they’re some of the exciting things I’ve planned for 2010. And yes, I know number 8 isn’t an adventure, but I do need some sort of accountability or this blog will just fall into ruin. I will create an adventure page, where I’ll cross out completed adventures and perhaps link them to their respective blog posts (there should be one). A 2010 list of adventures to embark on. What an exciting year this will be. Will I make it? Well we’ll see in 352 days. Huh, MY resolution is to get cuter underwear. Haven’t done it yet.